It took us a while until we finally decided to develop a successor for the freeware synth Tyrell N6. With download numbers still going strong after all these years, it was admittedly the massive success of the Tyrell N6 that made us hesitate to revisit the synth that had originally been conceived in a collaborative manner and which was eventually realized by Urs Heckmann’s software company u-he. You’ll find out more about the Tyrell N6 in the following article. 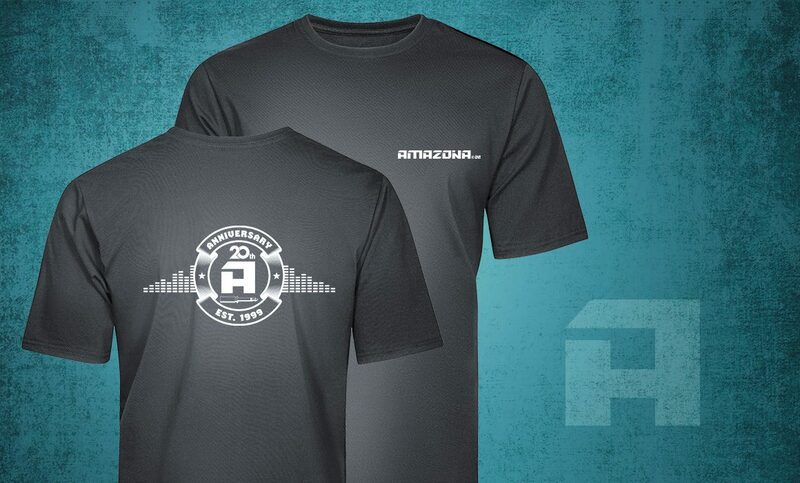 Although the outlook of developing a successor for what turned out to be one of the world’s most popular freeware synths rather intimidated us, two coinciding events ultimately made us reconsider: Tyrell N6’s 10th anniversary and AMAZONA.de’s 20th anniversary. In celebration of both anniversaries we’ve decided to dedicate the year 2019 to the creation of a worthy heir of the Tyrell N6: Please say hi to BABYLON! “Never change a winning team” – and this team is you, the community of AMAZONA.de. Just as last time, we need your input early on in the process to be able to create a future classic (yes, we’re going for nothing less here). What’s going to be different from what happened ten years ago is the way we’d like to collect ideas. Rather than focusing on collecting data from all over the place and ending up drowning in huge Excel tables, we’d like to see you submitting your suggestions directly via our commentary function. You may also get in touch with us beyond the commentary function if you prefer to do so. We won’t be shooting for the be-all/end-all type of synth (which might be an impossible task anyway). Rather, we’d like to know what the most important features of the Babylon Synthesizer should be. What type of aesthetic, sound, or feel of already existing synths does appeal the most to you? Why? Complex or simple? How feature-rich vs. how intuitive would you like the Babylon Synthesizer to be? How important are macros for your personal use? Where do you see the Babylon Synthesizer on a continuum between a feature monster and a ‘bread and butter’ synth? What about the sound and look? Should it resemble classic vintage synths or should it be futuristic? Would you like to contribute more? How? Would you like to be able to upload illustrations (audio or visuals)? Would you like to see regular polls so you can rate designs and concepts? How about personalized sounds (by users for users)? Would you like to see an online database for presets? Remember, these are just a few examples. We’re pretty sure you’ll come up with more than we considered above. Around 1700 BC Babylon was the biggest city in the world with an estimated population of 200,000. 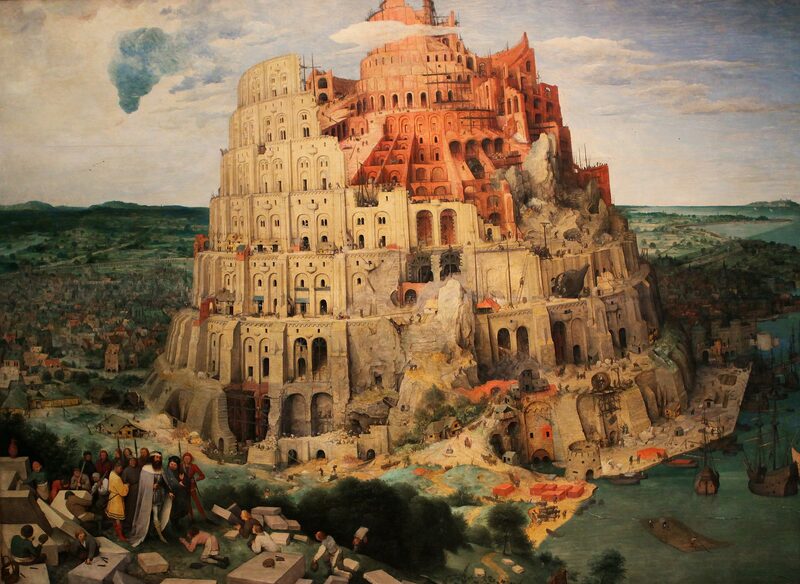 According to the infamous biblical story, God was not amused to see the Babylonians building a tower that was supposed to reach heaven. So he punished the residents by means of a confusion of tongues so they could no longer understand each other and scattered them around the globe. With the Babylon Synthesizer we’d like to unify the global synth community again. Irrespective of your beliefs, your native language, your skin color, and your location, you’ll be able to contribute to this project. If we succeed in creating a freeware synth that can be used all around the globe for whatever genre, style, or musical context, then we believe that “Babylon” will indeed be an appropriate name. As with the Tyrell N6, we are happy to announce that this project will also be enabled thanks to the gratuitous support of two highly experienced partners from the industry: Axel Hartmann and Peter Gorges. 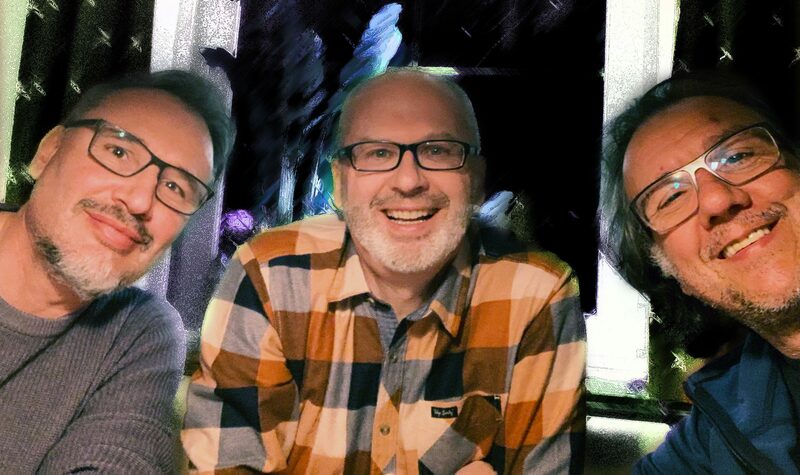 Both met editor-in-chief Peter Grandl in a snowy alpin hut at the beginning of February to discuss and develop ideas about the Babylon Synthesizer. We had the honor to chat extensively with Axel just recently. Aside from creating his own synths like the infamous Hartmann Neuron and the Hartmann 20, he was involved in the design and development process of numerous well-known synthesizers that have been released since the early 1990s. One of the products he’s been involved in most recently, is the brand-new Moog One. From left to right: Peter Gorges, Peter Grandl, and Axel Hartmann at the Babylon meeting that took place on February 8 and 9, 2019. Some might still remember Peter Gorges from his days at the German magazine Keyboards. His expertise also shaped products by Wizoo, Steinberg, and Digidesign. Collaborators include illustrious names like Hans Zimmer. These days, Peter designs virtual instruments based on a toolkit named Gorilla Engine, which has been developed by his current company UJAM and may just as well turn out to be the perfect platform for the creation of the Babylon Synthesizer. If we all stay on task, we should be able to deliver the Babylon Synthesizer by Christmas. The first 40 contributors who respond to the questions relevant for this stage (on the german or english version of this article) – yes, there are going to be further stages, will receive an 20th Anniversary AMAZONA.de tee. Our very own Suzie Q will get in touch with you via PM to ensure that your brand-new fashion statement will be delivered to the correct address. And now it’s up to you!